Stunning looks with a powerful performance is all needed to describe Honda’s CB Hornet 160R. The bike is aimed at young enthusiasts looking for a sports commuter at a reasonable price. 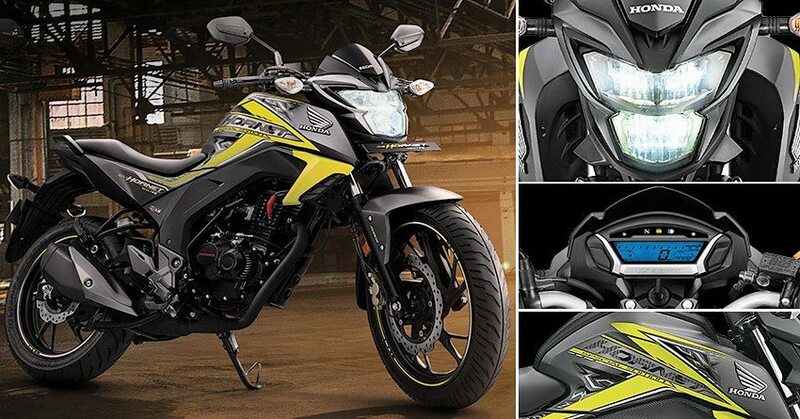 Hornet 160R is an updated version of the Unicorn 160 and is also a successful attempt by Honda, unlike its Dazzler and Trigger. 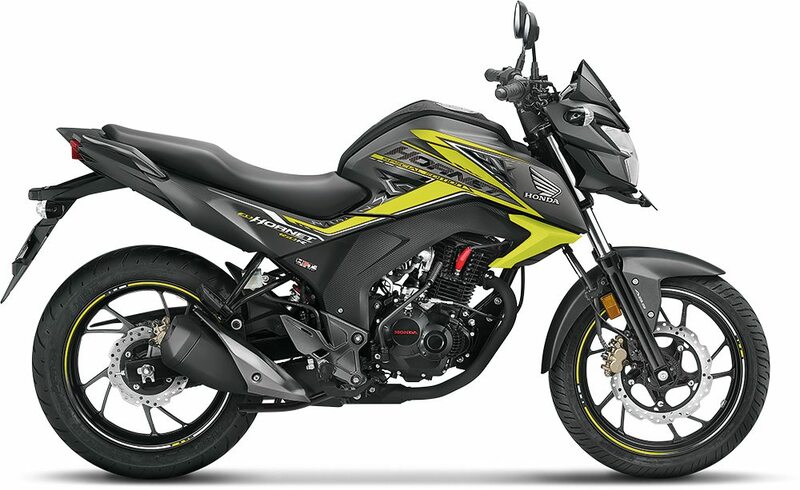 It has given a tough competition to similar bikes in the segment including TVS Apache RTR 160, Suzuki Gixxer and Yamaha FZS. 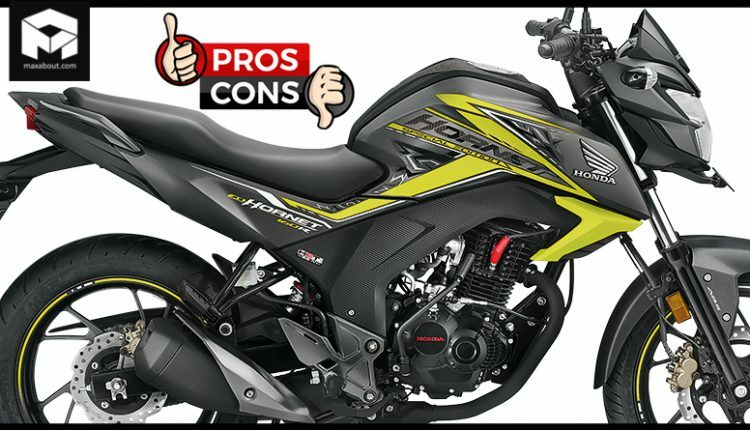 Here is the complete list of pros and cons of CB Hornet 160R that will help you to decide whether this is what you have been looking for or not. The first thing we look upon while buying a bike is the looks. Isn’t it? And the CB Hornet would impress you at the first glance itself. The bike has got sharp and bold looks with attention sealing features. The design is inspired from the concept Honda bike, the CX-01. The slightly chiselled tank features a muscular cowl which has Honda’s wing symbol over it. What’s special about the design? The front stylized with a Honda-style LED headlight. Mid-ship exhaust design which won’t go without your notice. The new alloy wheel design to the Honda family. X-shaped tail light with a wide rear tyre. So, for not letting the customer lose interest when it comes to technical specifications, Honda has equipped Hornet with ABS and CBS. 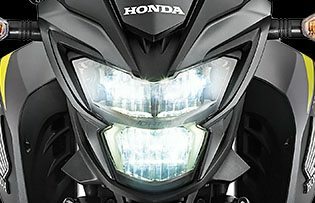 The bike is available in four variants and rider can choose any before Honda removes all others except the ABS variant. How will it affect your ride? In case of a bike with CBS, when the rider would apply brakes either front or back, the bike will make use of both front and rear brakes as a combination to slow down the speed. Now, this helps you to keep a better control of the bike in case of intense braking. Although CBS doesn’t help in preventing the tyres from getting locked, ABS is available so that your front brake comes with the anti-locking property. 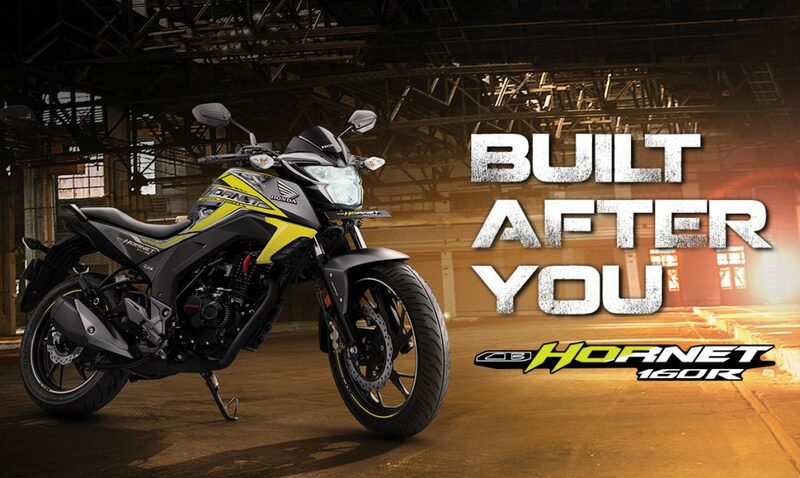 CB Hornet 160R is more powerful and refined than Unicorn’s motor. This economical engine size for the Hornet would deliver you smooth performance on the Indian roads. What makes the engine powerful? Designed with Honda Eco-technology, the 162.71cc air-cooled engine delivers 14.9 Bhp of max power and peak torque of 14.5 Nm. The engine is mated to a 5-speed gearbox. 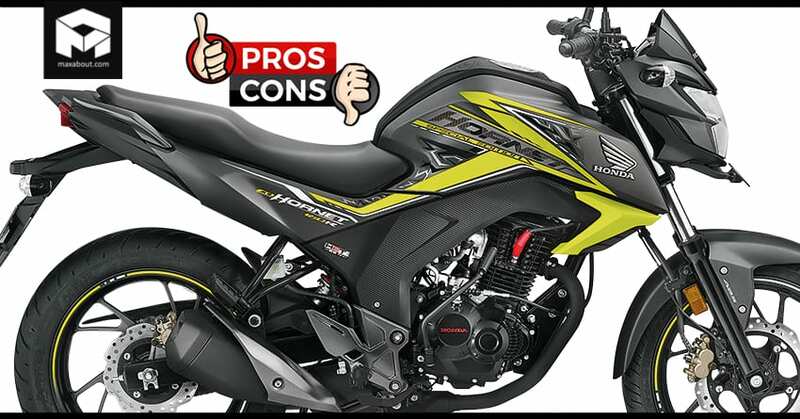 Honda CB Hornet 160R is the most powerful bike when compared to Suzuki Gixxer and Yamaha FZ-S V2 Fi. Apart from the “high acceleration” due to its Honda Eco Technology (HET), Honda CB Hornet 160R also offers high fuel efficiency. This is again due to the HET which reduces engine weight and friction. Honda claims that Hornet 160R can return an ARAI-certified mileage of 59 KMPL. You can expect the real-world mileage to be somewhere around 40-50 KMPL under routine riding conditions. The updated model of Hornet 160R now comes with an all-LED headlight, making it the 1st bike in its class to get this feature. 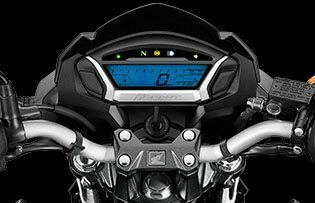 The motorcycle also comes equipped with a full-digital instrument console which is quite informative. It has a speedometer, tachometer, fuel gauge, 2 trip-meters, and a digital clock. Rest of the indications are shown by LED lights like the ‘N’ to let you know that the bike is in neutral gear. It also has separate LEDs for high-beam and the turn indicators. The not so cool thing about CB Hornet 160R is the absence of engine kill switch which will certainly put questions on its high price. So, if you are the one who has a habit of killing the engine with a switch, you will have to struggle a bit in the beginning. Although you may enjoy the acceleration produced by Hornet 160R, but the bike feels a bit strained once you cross 90 kph. Moreover, the engine has to be fed with multiple revs to experience its real power. You will experience vibrations along pegs and handlebar when the bikes will go above 90 kph.